Three Quick Ways to Add Holiday Flair to Any Space | Havenly's Blog! Some people have traditional holiday decor they use over and over. Others want to switch things up a bit! 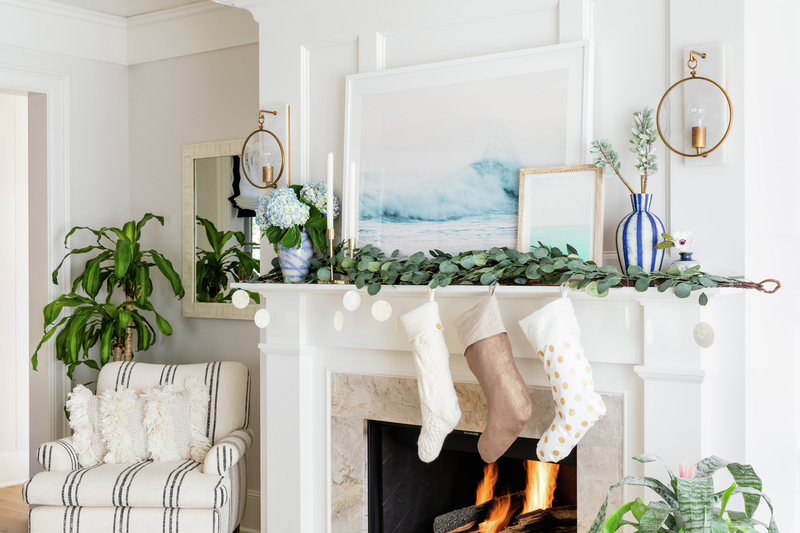 For those of you looking for a fresh look, we decorated some unconventional spaces in collaboration with Pottery Barn, to show how easy it is to bring the holidays to any corner of your home. A classic space for decorating, the mantel can still be tricky. We like to start with greenery: a garland takes up plenty of space and adds a full look. Then, add in taller pieces for height. We love these sculptural trees, and some modern candlesticks for a contemporary look. 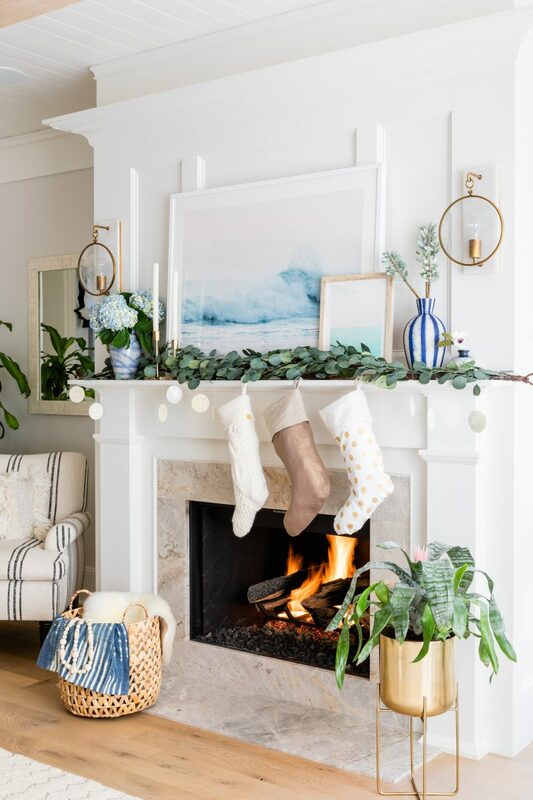 You can even switch out your artwork for something that matches your decorations– here, we used beachy art to match the neutral look of the mantel. 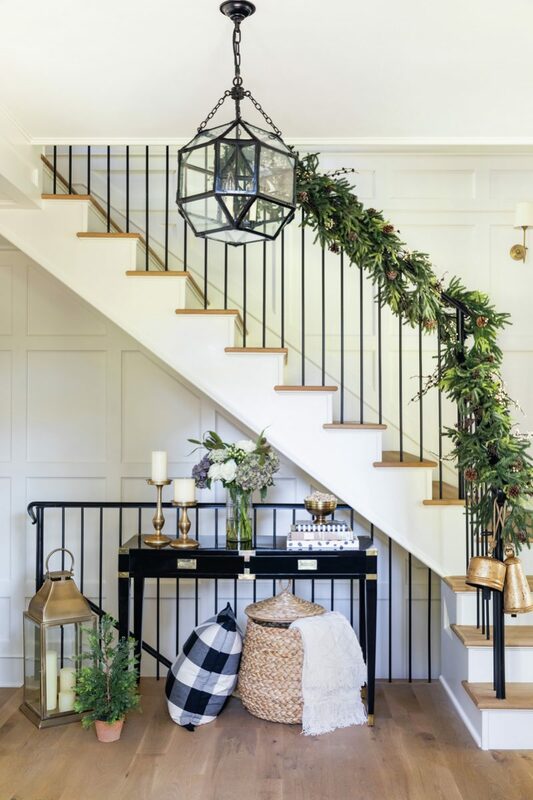 Don’t forget your entryway while you are decorating! There’s the classic stairway garland, but we love the idea of adding a more dramatic look to your console table or entryway drop point. Here, we used a mini tree to echo other spaces in the home, plus lanterns for a warm and welcoming glow. This is a table that doesn’t need to be clear for a holiday meal, so deck it out with plenty of decor that feels fun and seasonal. You can even stack blankets and pillows here to keep them handy for all of your guests. There are plenty of spaces in your home that can benefit from a little holiday flair. But, you don’t have to use holiday-specific items to add a festive feel! For a fun vignette under the christmas tree, we used fun pillows and a blanket to hide the tree stand. You can even drape a fun, textural garland to add a playful touch. 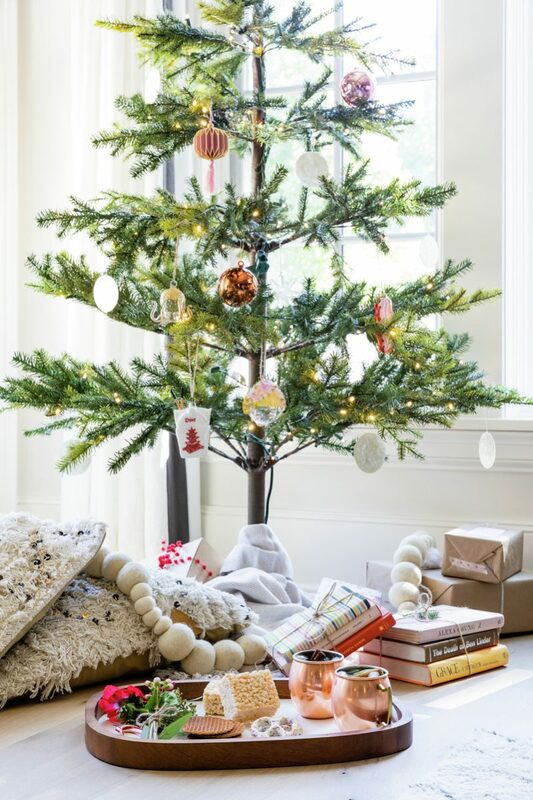 Shop all of our favorite holiday pieces from Pottery Barn and deck your halls in style!